Don't forget to check out my Midsummer's Eve Giveaway Hop! 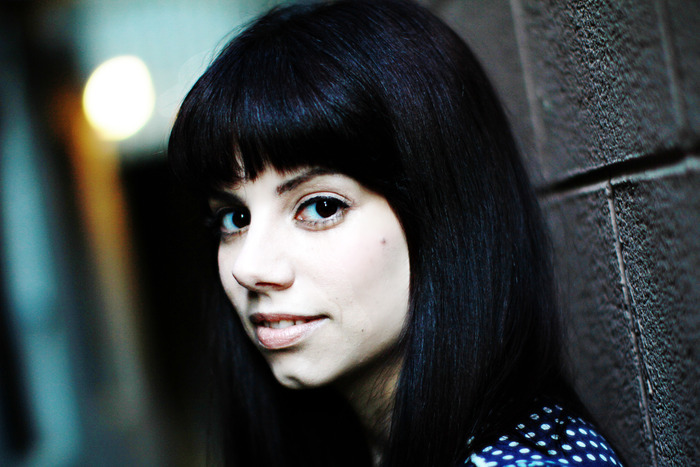 Demitria Lunetta writes young adult science fiction and fantasy. A Chicago native, she holds a BA in Human Ecology and has spent countless hours studying the many ways in which people are capable of bringing about their own destruction. In case the end is near, she always carries a good book and a chocolate bar--the two items essential for post-apocalyptic survival. 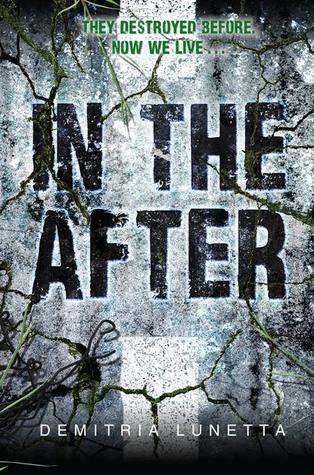 IN THE AFTER is her debut novel. The best advice I've ever gotten is to read more than you write, and I would shout that from the rooftops if it wouldn't make me seem crazy cakes. Read everything. Read what you love and what you hate. Keep reading. It will make you a better writer. There are so many! I love anything YA or anything Sci-fi or Fantasy...and combine them both and I'm done. I used to read THE CHRONICLES OF NARNIA compulsively as a child, and as an adult I love THE ABHORSEN TRILOGY by Garth Nix, and the BARTEMAES BOOKS by Jonathan Stroud. And of course, anything by Margaret Atwood. Where did you get the idea for In The After? I love horror books & movies, especially those that feature scary creatures. Most of these creatures stick to the shadows and use night as a cover…and I thought about taking these norms and flipping them. These creatures (referred to as They) are ravenous, flesh-eating monsters, but they have poor eyesight, making them more active during the day when it’s light out. They also hunt by sound. This means that my MC, Amy, lives in a world of silent darkness. She only goes out at night, making the usual world of frightening shadows her comfort zone. The day becomes a time of terror, when They own the world. Did you hit any snags while writing In The After? What were they and how did you fix them? When writing Sci-fi, there’s always logistical problems…would something really work the way you imagine it would? Other than that I had a few too many characters. My editor suggested cutting out a love triangle (so glad she did) and getting rid of another extraneous character. This tightened up the novel and I was able to better flesh out the characters I kept. Which one of the characters in In The After is your favorite and why? This may sound strange, but one of my favorite characters is Amber. She’s not a hero, by any means, but she’s very real. She’s a survivor, though not the kind most readers are used to. Her survival technique is to fit in and follow. She wants to be protected and are willing concede a few freedoms to be safe. She knows that survival is a tricky game, and she’s learned to play it to perfection. I’ve always wanted to be writer. I blame my overactive imagination and my love for reading. Becoming a writer is not easy, though, you have to learn a lot more than just how to write. I tried to query a fantasy novel a few years ago that only got rejections. I loved that book and it was hard to move on, but I decided I had to keep going forward. In case all the rejections were because of a problem with my query I decided to do a ton of research on successful queries. The work paid off when I tried to query a travel book. Unfortunately, that was also when the economy was in the gutter so it was a no go for travel books. My third time was the charm. For IN THE AFTER I queried for about a month before I got my first offer. I then contacted the eight or so agents who had partials and fulls and let them know I was offered representation. I got three passes and five “Holy crap, I’d better hurry up and read so you can make your decision!” Then I spoke to those five agents and chose the one I thought best suited me. My awesome agent sold my MS to Harper Teen and the rest is history! 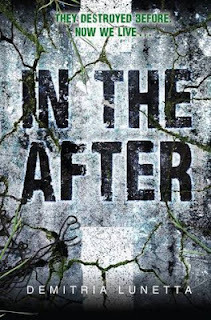 I currently editing the second book in the IN THE AFTER series, IN THE END. Was it difficult writing a book where the protagonist has to deal with a toddler? How did that affect dialogue and action? When Amy finds Baby, she is concerned about how to deal with a toddler during the apocalypse. I thought this difficulty was an important part of the story and allowed Amy and Baby to grow together as characters, forming a strong bond between them. Most of the action happens three years later, when Baby is six. Six year old Baby has learned to live in the After, and is a very capable “sidekick”. Since Amy and Baby have only had each other to “speak” with for years, they also have a special understanding of each other, making communication easier. Why did you choose to study human ecology in college? I’ve always wanted to know how our world works. Human ecology is a very broad discipline, and allows you to study a wide range of subjects. At the time, I was interested in becoming an environmental lawyer, but I found myself taking more language and literature classes than law classes. In your post-apocalyptic survival back-pack, there is a book and a chocolate bar. What book is it and what kind of chocolate bar? The book is always changing, I love to read, so the book in my bag changes weekly, if not daily. As for the chocolate bar, my absolute favorite is a Milky Way bar, but let’s be honest, I love all chocolate. When people say they don’t like chocolate my draw drops. It’s like they’ve just told me the world is flat. It’s the same look I get when people say they don’t like to read! Demitria is giving away a signed copy of IN THE AFTER. In the After: They hear the most silent of footsteps. Great giveaway, thanks so much! Feels like I've been anticipating this release for forever!! Bummed I didn't have a chance to enter until today and it's almost over :( ah, well, such is life. 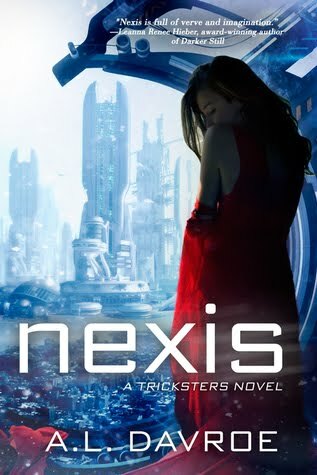 On the off chance Demitria is reading comments, I'd love to know if she has plans to resurrect the fantasy novel she loved so much that was the basis for her first query. It sounds like she learned a lot about how to "properly" query, so maybe it would be met with a different reaction now! Or, of course, her current agent could take it on...?